Public Services Health & Safety Association (PSHSA) works with Ontario's Public and Broader Public Sector employers and workers, providing occupational health and safety training, resources and consulting to reduce workplace risks and prevent occupational injuries and illnesses. These are just a few of the sessions we have coming up. And Be Certified For Life Before The Standard Changes. This program is the first part of the training process for individuals to be certified under guidelines established and enforced by the Ontario Minister of Labour. This 3-day program assists JHSC members with issues particular to their work environment. Management and worker members receive training in the significant hazards found in their workplace. Understand their legal rights and responsibilities. Learn about common workplace hazards. Learn key steps to addressing these hazards. This knowledge will prepare participants to carry out workplace inspections, accident investigations and enable them to function effectively as JHSC members. This course is the second part of the training process for individuals to be certified under guidelines established and enforced by the Ontario Ministry of Labour. Identify the hazards commonly found in acute care settings. Describe how they may cause injury or illness. Effectively recognize and assess these sector specific hazards. Outline methods for controlling them. Participants will also learn about relevant legislation, standards and guidelines. Identify the hazards commonly found in community care and group home settings. Identify the hazards commonly found in educational and cultural settings. Identify the hazards commonly found in emergency medical services. 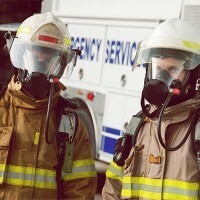 Identify the hazards commonly found in fire services. Identify the hazards commonly found in laboratory settings. This 2 day course assists JHSC members with issues particular to their work environment. Management and worker members receive training in the significant hazards found in their workplace. Identify the hazards commonly found in municipal and provincial government settings. 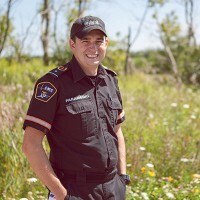 This program is designed for emergency services personnel who wish to become the designated officer within their organization, as required by the Ministry of Health and Long Term Care. Recognize, assess and control common communicable diseases in the emergency services. The program enhances a participants' knowledge of legislated health and safety responsibilities, the internal responsibility system, worker's rights and the supervisor's role in workplace management. Upon completion of this program, participants will have met the requirements of section 27 of the Act in relation to supervisor/manager competency. This program is designed for all supervisors and managers and is applicable across all sectors. Participants will learn about the legislation, knowledge and skills required to conduct their own qualitative fit testing (QLFT) as outlined by the CSA Standard Z94.4-11. This 1/2 day course will train participants on the requirements within a respiratory protection program and qualify them to educate and prepare workers for the fit test. Registration for our 2016 Safety Groups Program Is Now Open. Apply Before December 1st, 2015! using the login screen here. Safety Groups are an initiative from WSIB that allow groups of companies to pool their health and safety experience and resources to help improve their prevention systems. Safety Group members can reduce their workplace injuries and illnesses and be rewarded with rebates on WSIB premiums. Please ensure that your registration form is signed on pages one and two, then scan the form and email it to us at: safetygroup@pshsa.ca Note: The deadline for 2016 Safety Group applications is December 1, 2015. If you have any questions about completing the form, please contact your PSHSA Consultant.